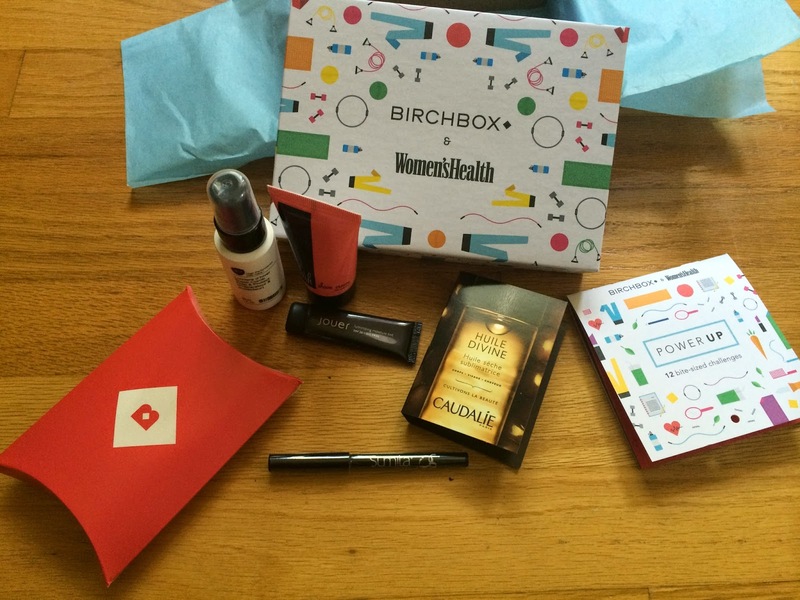 My Birchbox arrived for July. I thought this box would get to me much quicker, because it seemed to ship out early this month, but I think it was stuck in the mail for awhile. I looked at what I would be receiving in my account, because I just couldn't wait, so it wasn't a surprise! This month's theme was Power Up. 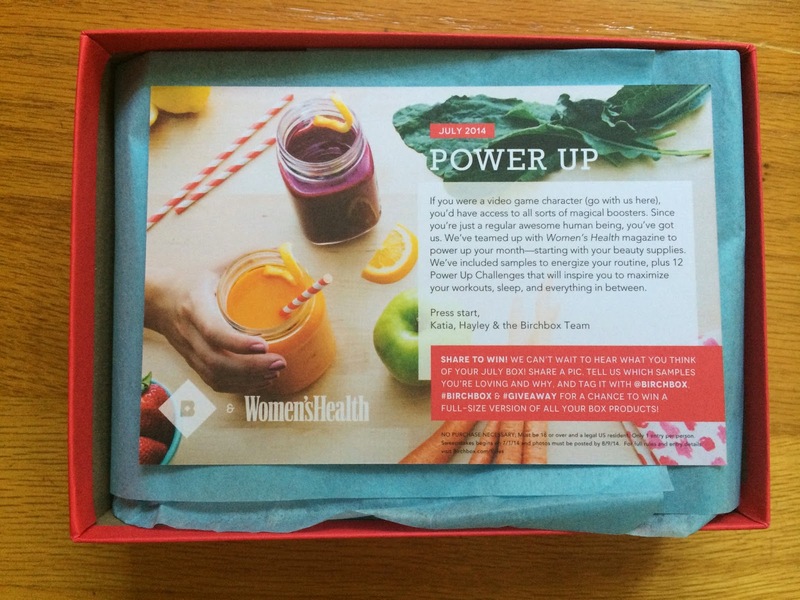 They teamed up with Women's Health Magazine this month and the samples included were to energize your routine. 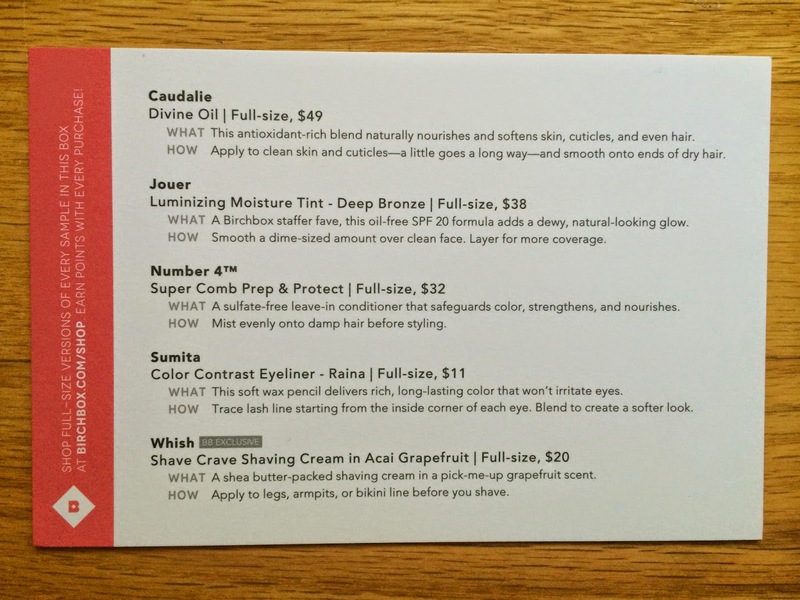 Birchbox always sends an information card with the theme of the month and everything included in the box. This month they offered a choice of Ruffian Nail Polish in 3 colors or lip gloss. I chose the Ruffian Nail Polish, but that wasn't in my box. I was a bit disappointed, because I was really looking forward to it. Here is a look at the samples I received this month. I wasn't too excited about them, but you never know until you try them. 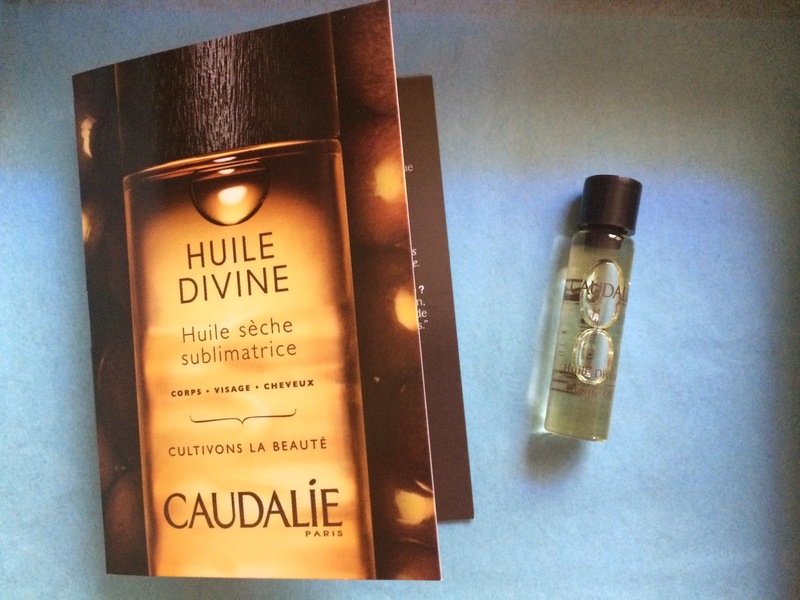 The first item I received was Caudalie Divine Oil. I'm not too sure why I keep getting oil every month. I'm not too crazy about it. Oil kind of scares me because I have oily skin and it's at its worst in the summer months. This Caudalie Divine Oil can be used on skin, cuticles, or hair. 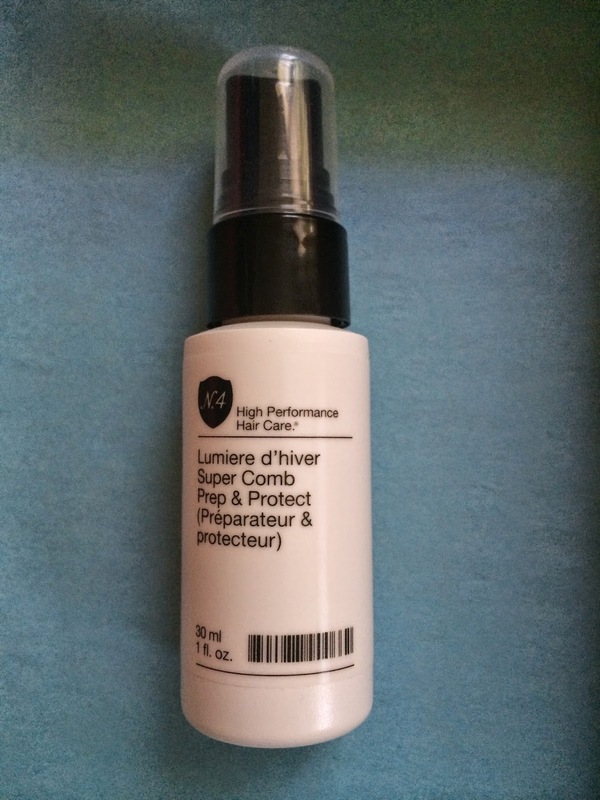 I've tried it on my skin and it's nice, but no spectacular differences with a couple uses. 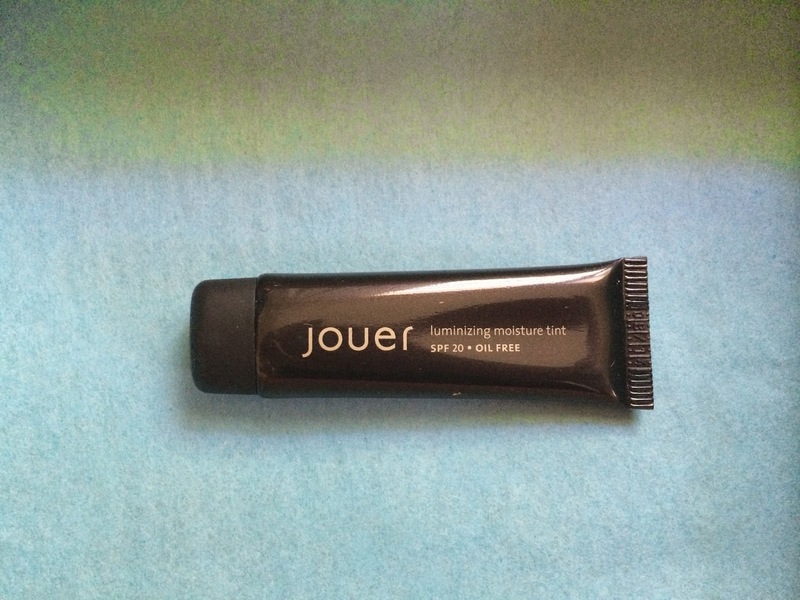 The next sample I received was Jouer Luminizing Moisture Tint in Deep Bronze. I am very very very very pale, so this won't work for me. 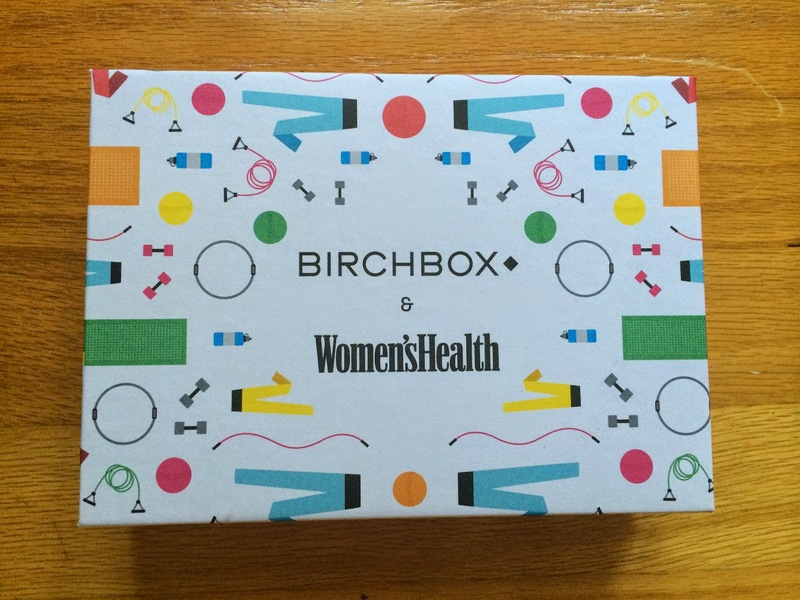 I did receive an e-mail from Birchbox shortly after receiving my box, and they recognized that they sent me this product, but it did not match my profile. They generously added points to my account to make up for their error. Birchbox has the best customer service! I also received Number 4 Super Comb Prep & Protect. This is a sulfate-free leave in conditioner that safeguards color, strengthens, and nourishes. I've tried multiple kinds of these sprays and get similar results with all of them. I love them as detanglers and this seems to work well. I'm not crazy about the scent though. It's a bit too perfumed for my liking, but it does dissipate quickly, which I actually prefer. The next item is surprisingly my favorite item in the box. 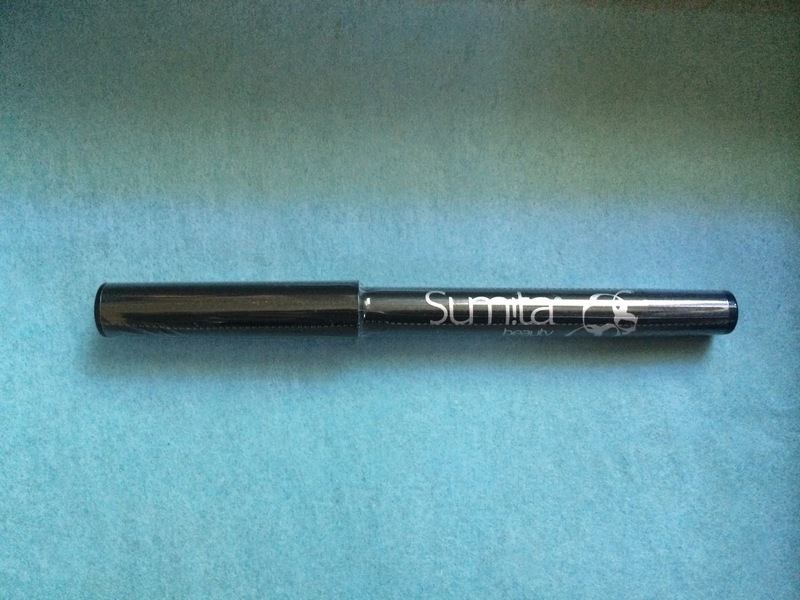 It's Sumita Color Contrast Eyeliner in Raina. This is a very nice blue colored eyeliner that goes on really smooth. I'm not a fan of eyeliners and very rarely wear them, but I find myself reaching for this one every day. It may just make me convert and I'm completely fine with that! The last sample I received was a BB Exclusive, Whish Shave Crave Shaving Cream in Acai Grapefruit. I'm really excited to try this. 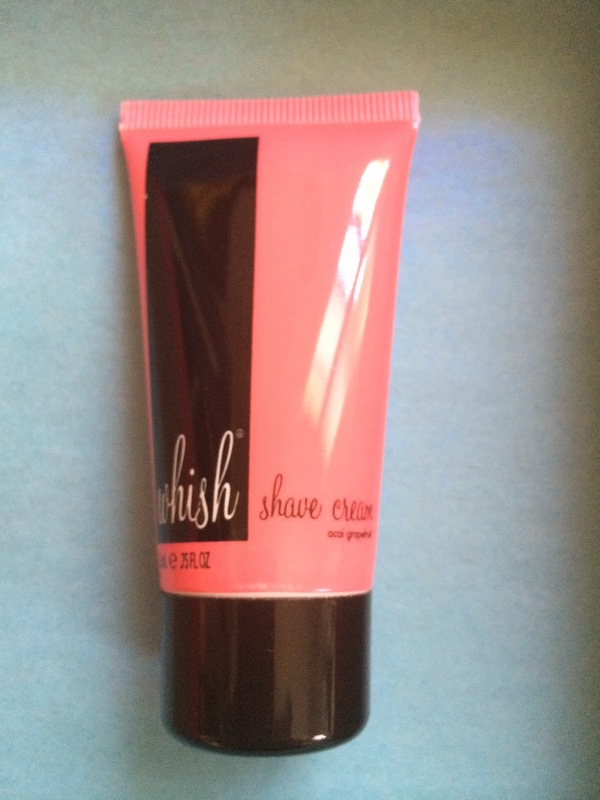 I love the packaging and have never tried any Whish products before. I already know I like the way this smells. It has a very fresh, light, and fruity scent! This month I didn't receive any amazing products to try or anything that I was really excited about, but I still managed to find at least one great product that I'll probably buy in full size. I was really hoping for a Ruffian Nail Polish, but I guess something went wrong when I chose mine because it definitely wasn't included in my box. I'm hoping for some more interesting products next month.